This last week we had the privilege to talk with Jeff Speck, notable city planner and lecturer, in an intimate group of real estate professionals throughout the country at the National Association of Realtors (NAR) conference in Boston. If you are not familiar with Mr. Speck check out his TED talk on walkable cities — it has over 1 million views and is pretty great. The NAR published data from a survey on community preferences that shows 47% of the US population would prefer to live in a city or a suburban neighborhood with a mix of houses, shops and business while only 12% would prefer to live in a suburban neighborhood with only houses. Subsequently, in a white paper published in 2009, CEO’s for Cities found that properties in more walkable neighborhoods market for $2,000 more per square foot than non-walkable neighborhoods. All of this seems very obvious or is it? There is only one company currently publishing walkable factors, WalkScore, a company now owned by Redfin, which as we know is a real estate brokerage; which makes its money on real estate commissions. 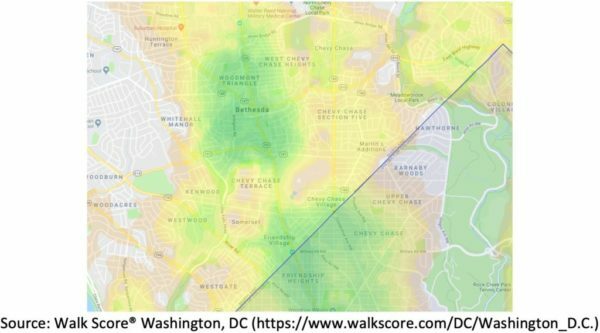 WalkScore, currently operates their algorithm by issuing a score for a location or address as a crow flies meaning it creates concentric circles to produce a number based on factors such as transit, entertainment and groceries. 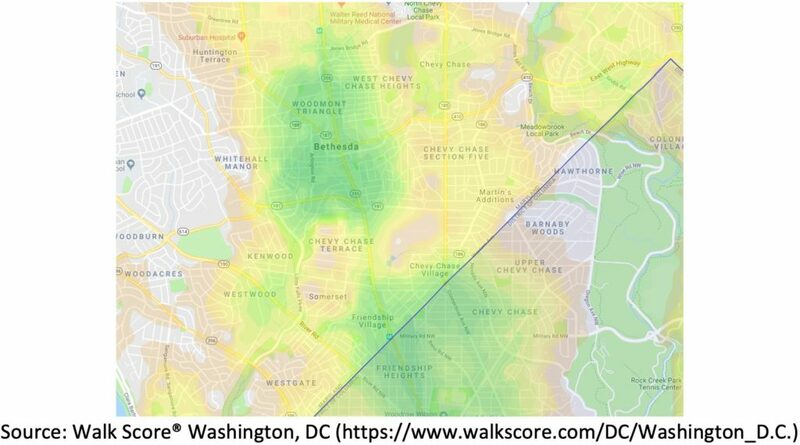 Most cities are designed with corridors and commuting as the significant influence on zoning and thus the further one’s address is from streets like H Street, U Street or 14th Street for example, in theory the lower your walk score. However, since 2006 we have many disrupters like Airbnb, bikeshare, scooters and carshares all beginning to shift the consumer’s concept of not only micro-commuting, but also property right and use. To get a better idea, check out DC’s master plan, updated in 2006 and amended in 2011. Another kink to ponder: Walkable as a term could be considered a Fair Housing Violation. What?!!!! That’s right and not necessarily because of obvious concerns like individuals with disabilities, but because classifying neighborhoods as anything other than a fact could be considered blockbusting or steering or redlining. Why does this matter? Well, if sellers can’t market the very thing that makes their property unique compared to their neighbors has the consumer really taken it into consideration? At the national level, D.C. is considered one of the more walkable cities in the country, however as we zoom in on a closer scale, we can see that this is a very broad generalization for a metropolitan area with a wide variety of walk scores among its neighborhoods. The local realities are much more nuanced. 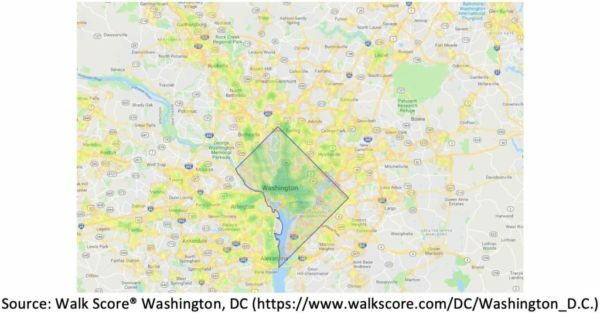 Logic would indicate that the areas with the highest Walk Scores would be prime for densification and an increase in housing, however, we know that there are other forces at play when making housing decisions locally. What do you think? Should local leaders focus on improving walkability? If so, where? And what are some reasons for neighborhoods so close to the city center still not being walkable? DC Punk Rock Flea Market & Food Drive is Saturday!